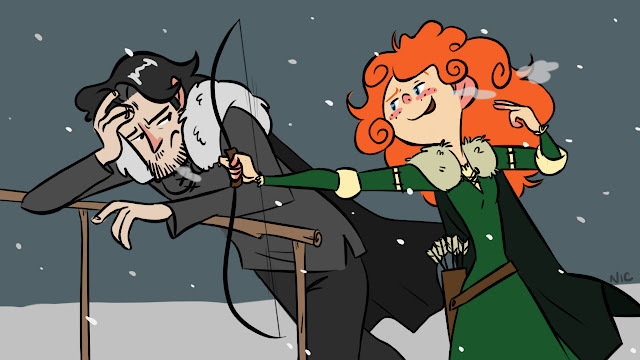 "And tell me again, why are there no lasses of the night's watch?" So 'Brave' came out today - and this popped into my head last night. Enjoy. rawr, she's chosen her suitor!